It isn’t a secret that I love CodeCanyon. I like coding scripts just like the next guy, but sometimes it’s really not worth it. Why would you spend dozens, and sometimes even hundreds of hours, creating, and then debugging a complex script, when you can buy one for $10? And the advantages don’t stop here: with CodeCanyon, you get a script that’s constantly updated, and often times a script that gets new features – features that won’t cost you a dime! So without further ado, let us explore some of the best scripts that can be bought on CodeCanyon. The first on my list is Buzzy, a script that helps you build a news site – and the great-looking one – within minutes. Buzzy is the perfect fit for websites that deal with breaking news, popular videos, and so on. If the name didn’t give it away yet, Buzzy is basically a BuzzFeed clone. The script supports Instagram photos, tweets, SoundCloud embeds, unlimited polls and has a customizable layout with unlimited colors and responsive design. It sells for $35, a small amount of money considering the amount of work that went into it. Rated at 4.5 stars by close to 200 people, Buzzy is a solid script that definitely deserves every penny. 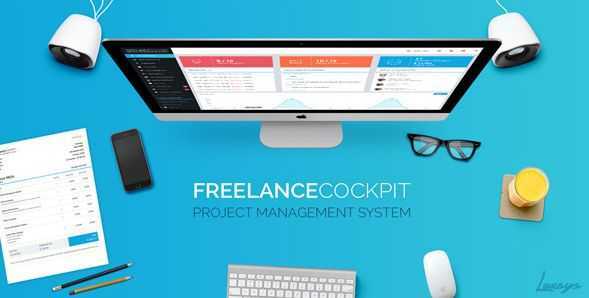 If you do any freelance work, you should definitely take a look at Freelance Cockpit, a project management and CRM tool that has got a lot of flexibility. First of all, it allows you to create projects, which are then broken down into tasks, which can then be assigned to people. This way you can easily track project stats and see where your time and money goes. But that’s not all! Freelance Cockpit also serves as a ticket-based support system, an invoicing system and a messaging application which allows you to send messages to both your clients and your workers. A feature I’ve never seen in a similar CRM before is the ability of creating client tasks. You can even assign timers, and then view the results in a dedicated timesheet. Project milestones are also possible, and beautiful GANTT charts help you build great-looking reports. You can also upload files, and then share them with your clients. The script also includes a client portal, allowing your customers to view the status of their projects at any time. You can also create recurring invoices from within the application. And to make it easier for everyone, the script is very easy to install. I know that these sound like a lot of features, but trust me – I’ve only touched the surface here! It’s definitely a script that is worth exploring. And with over 4000 sales until now, you can be pretty sure that most bugs have been squashed until now. Its 4.7 rating coming from about 700 people is another reason why Freelance Cockpit makes it on our top 3 scripts list. The last script on my top three list is MailWizz, a solid script that can help you start an email marketing service. Of course, you don’t have to sell the service to others if you don’t want to; you can use it for your own email marketing campaigns, for example. 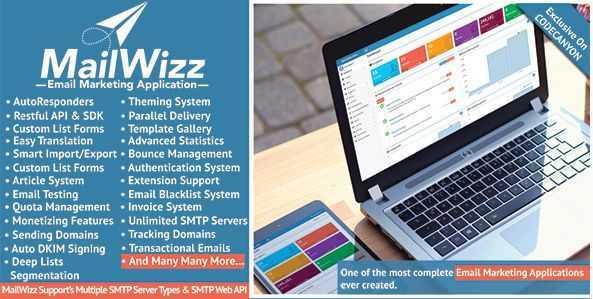 With MailWizz, you can send as many newsletters as you want to as many subscribers as you have, using an unlimited number of email campaigns. Custom fields are available, and the script can make use of any SMTP server, be it your own or coming from Amazon, Mandrill, SendGrid, etc. The list forms are fully customizable, and the script is 100% responsive. You can easily import or export subscribers, build reports and see various stats. It’s not a cheap script at $48, but it’s much cheaper than what you’d have to pay for only a few months of service with most autoresponder services. Its rating of 4.9 highly recommends it, especially when you take into account the fact that it’s been rated that high by close to 400 people.